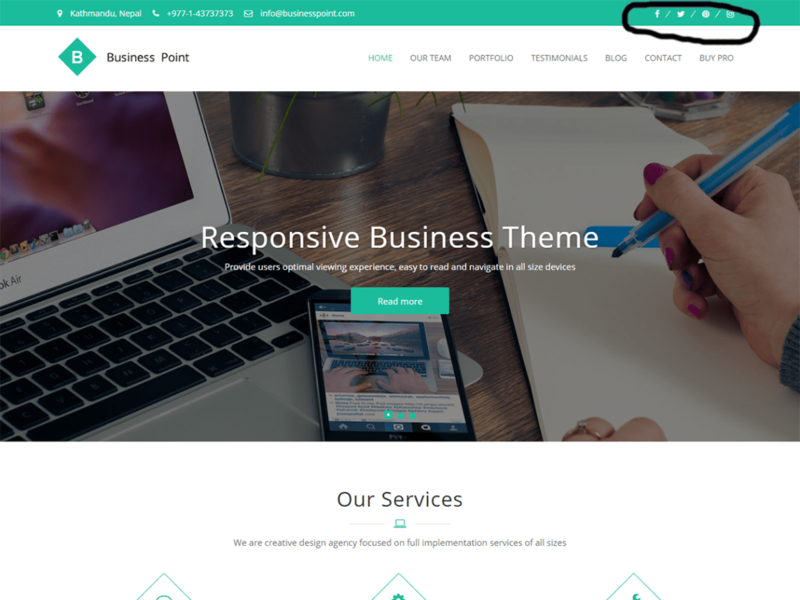 Installed free WordPress theme ‘Business Point’ to client website and added his social media links in top header. But when I click on these links, it opens on the same page itself. I checked the theme files, but not able to find the page/code for social media. So I installed a plugin Open external links in a new window. After activating the plugin we can update the settings in Admin -> Settings -> externals. And then we can add the website names here which need to be opened in a new window.